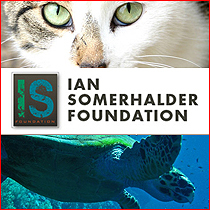 Ian Somerhalder Foundation. . Wallpaper and background images in the Ian Somerhalder club. This Ian Somerhalder photo might contain سے tabby, رانی, لہریا, ملکہ, سے tabby, tabby بلی, لہریا, and گوناگوں بلی. IAN SOMERHALDER'S میل ای ADDRESS!!! !